The Department of Consumer Protection (DCP) received an immediate cancelation of the liquor permit for the Clubhouse Cafe on Tuesday, March 19, according to a Connecticut DCP press release. Ownership will not apply for a liquor permit in the State of Connecticut for at least one year from March 19, 2019. Ownership will not partake in management or employee status at the premises if a liquor permit is ever applied for at the location. The presence of alcoholic beverages, the consumption of alcoholic beverages and the use of a caterer liquor permit on the premises will not be allowed while the property is under the control of the Anthony M. Dandonoli, the current owner of the property and the premises. The bar has been closed since Wednesday, Jan. 30 when the Liquor Control Commission indefinitely suspended the liquor license for the Clubhouse Cafe, according to a Hamden PD press release. 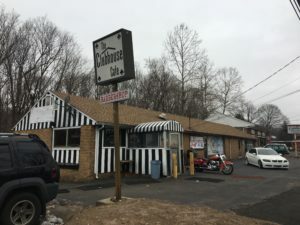 Within the past year, Hamden Police has conducted two “liquor compliance checks” at the Clubhouse Cafe, according to a previous Chronicle article. The first one was on April 20, 2018 in which approximately 100 people under 21 years of age were on the premises. Police seized 42 fraudulent identifications during the liquor compliance check. The second and most recent one occurred Friday, Jan. 25. After receiving numerous complaints to its tip hotline, Hamden Police again conducted a liquor compliance check at the Clubhouse Cafe. Officers issued 131 infractions for “simple trespass” to patrons that were under 21 years of age. 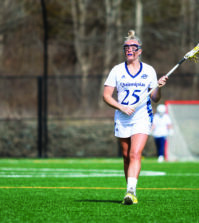 During a follow-up investigation by the Liquor Control Division, many of the minors were found to be Quinnipiac students, according to the same Connecticut DCP press release.